Based on data from 385 vehicles, 24,994 fuel-ups and 7,555,925 miles of driving, the 2006 Toyota Corolla gets a combined Avg MPG of 31.03 with a 0.07 MPG margin of error. Below you can see a distribution of the fuel-ups with 860 outliers (3.33%) removed. 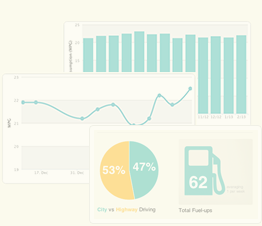 Following shows the average MPG of each of the 385 vehicles in the system. You can save a bookmark on your smartphone. m.fuelly.com It makes it easy to log your fuelup.